During the Six-Day War, between Israel and several Arab nations. Israeli aircraft and torpedo boats mistakenly attack the USS Liberty. They attacked the ship in international waters off Egypt’s coast. The intelligence ship was clearly flagged as an American vessel and was only lightly armed. It was attacked first by Israeli jets that fired napalm and missiles at the ship. The Israeli jets were French-made Mirage jet fighters. The USS Liberty attempted to call for assistance, but the Israeli were able to block the radio signals. The American crew did not know who was attacking them and some believed that aircraft from the Soviet Union had attacked them. They had been engaged in a routine intelligence gathering mission in the Eastern Mediterranean. Thier mission was a top-secret one and their whereabouts was only known to a select few. Despite coming under a sustained attack, the Liberty was eventually able to make radio contact with the American carrier, Saratoga. It immediately dispatched a squadron of planes to defend the USS Liberty, which was badly hit by this stage. It looked as if the American planes would attack the Israeli aircraft, but orders came from Washington, ordering them back to their carrier. 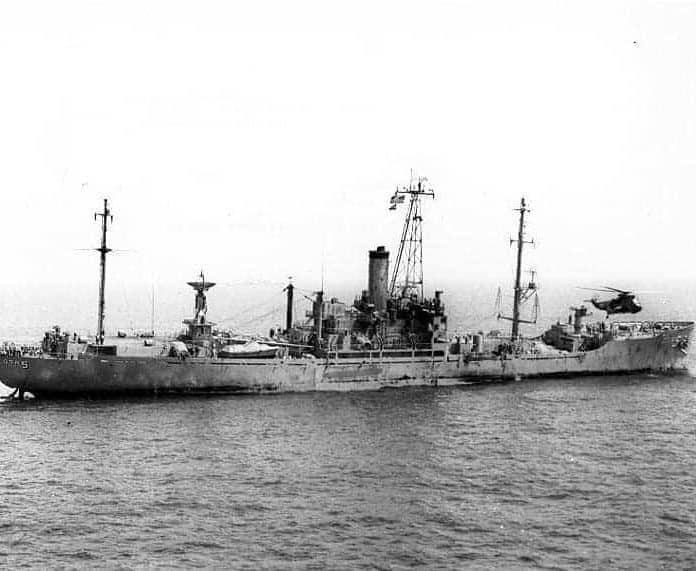 The USS Liberty had sustained nine dead after the Israeli air attacks. The Israeli navy then launched several torpedoes at the ship. Several hit the ship and did a great deal of damage. 34 Americans were killed and 171 were wounded in the attack. The attack on the USS Liberty was kept a secret for many years. It was very embarrassing to both sides. Israel and America were both allies and had a close political relationship. Israel later apologized for the unprovoked attack and offered $7 million in compensation to the survivors and the families of the dead. Israel claimed that the attack was a mistake and they believed that they USS Liberty had been an Egyptian vessel. The Israelis pointed out that the Americans had not informed them of the presence of the USS Liberty and if they had, the incident would never have happened. Many of the survivors do not believe the Israelis and argue that the Israelis deliberately sought to sink and destroy the ship. The ship was gathering intelligence on the fighting during the Six-Day War. Some believe that the Israelis had become concerned that the Americans had learned some of their secrets, especially their plan to seize the Golan Heights. The Israeli’s attack was designed to prevent the American government from stopping the assault on the Golan Heights, which was Syrian territory. Many historians accept the Israeli view and that the attack on the ship was a tragic mistake. The Captain of the USS Liberty was awarded the Congressional Medal of Honour for his heroism during the attack. The Israeli attack on the Liberty did not do any lasting harm to the America and Israeli alliance, which remains strong to this day.